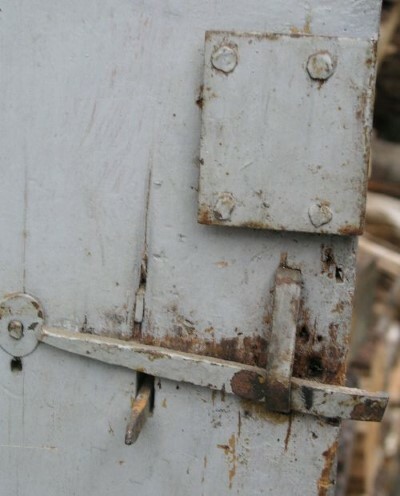 Early two board hand planed shed door with huge rose head nails old lock and early wrought iron latch. One side lower section has a small amount of damage. Dimensions: Measures 26.75" wide X 71" tall.